Anglo-French Architects FCM Group are a team of highly creative and dedicated architects and interior designers based in Manchester and Paris. Established in 1988, they provide a unique holistic and professional approach to high quality commercial and residential projects. 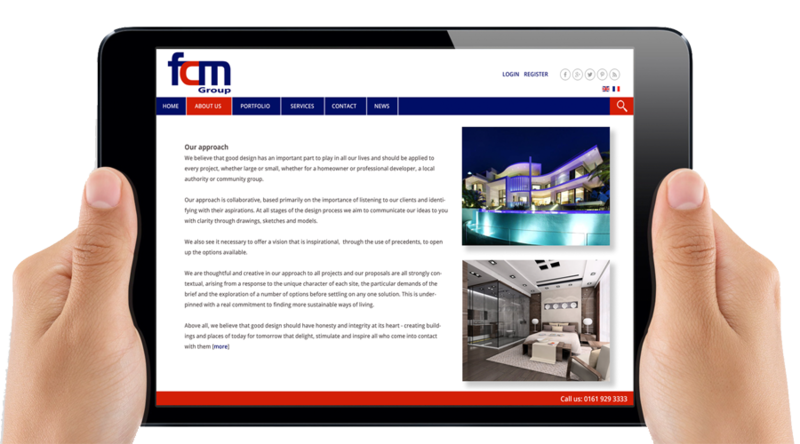 FCM Group are committed to achieving the highest level of design and bringing professionalism to all of their work. This approach has produced many award-winning projects for both architecture and interior design. Their current projects include new build commercial property, new build contemporary houses, residential & commercial extension projects, swimming pools and interiors design projects. 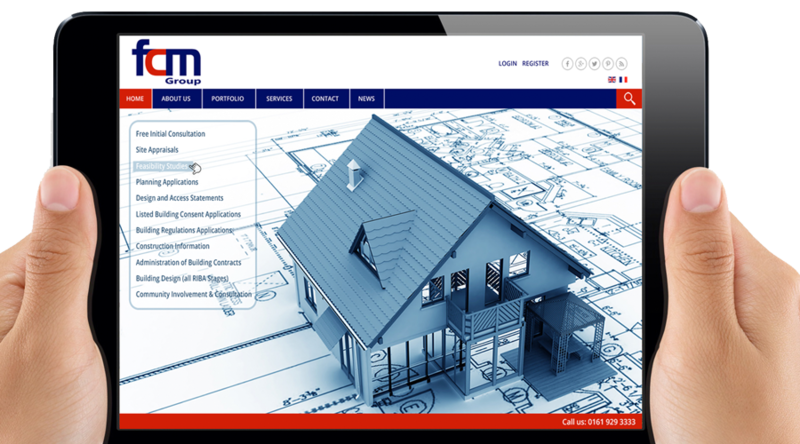 InForm acted as a web agency for FCM Group, developing a bilingual website with language selection automated by IP address location. The project rapidly expanded to cover the entire online and offline marketing operation. The work included Marketing Strategy, rebranding, service factsheets, e-newsletter design and copywriting. We also developed an Adwords Campaign to run alongside organic search engine optimisation. We chose InForm after a rigorous selection process. Their task was to design and develop a new single website for us that combined both English & French translations. They did a great job, combining creativity with technical know-how and first-class project management. What's more, they were invariably patient, pleasant and very professional in their dealings with us. InForm also contributed significantly to our overall Group Marketing Strategy and Corporate Branding. They also introduced us to Social Media Marketing. Highly recommended. The site was developed using Joomla CMS. Launch of the site was co-ordinated with the creation of Social Media accounts and InForm implemented a Social Media Marketing plan for FCM, initially running the campaign internally until suitable client resources were in place.